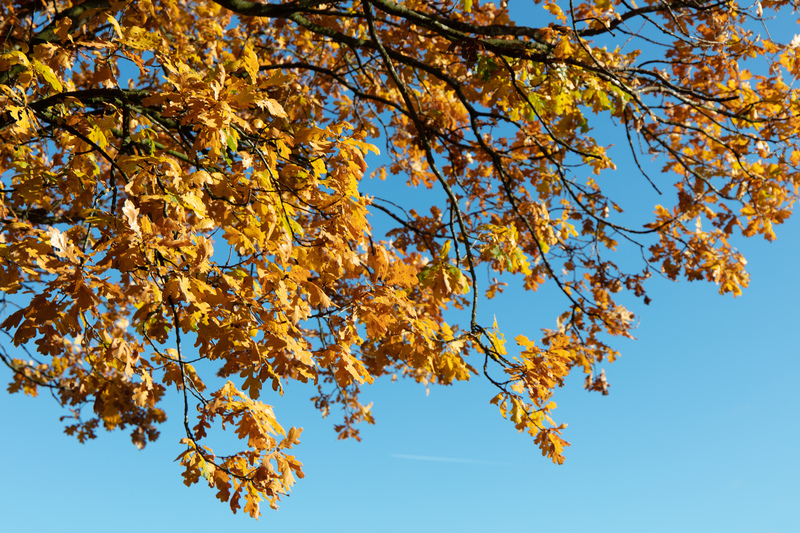 The day before we left for Dundee, Edinburgh and the autumn leaves were bathed in sunshine. While we were in Australia the UK seems to have had a fairly mild autumn. However, this was not to last and by the time our train pulled into Dundee Station, the sky was overcast and the wind was getting up. We had been meaning to re-visit the city for some time, especially since the V&A opened a museum there in September 2018 and James is always keen to come back to the place he was at university in. 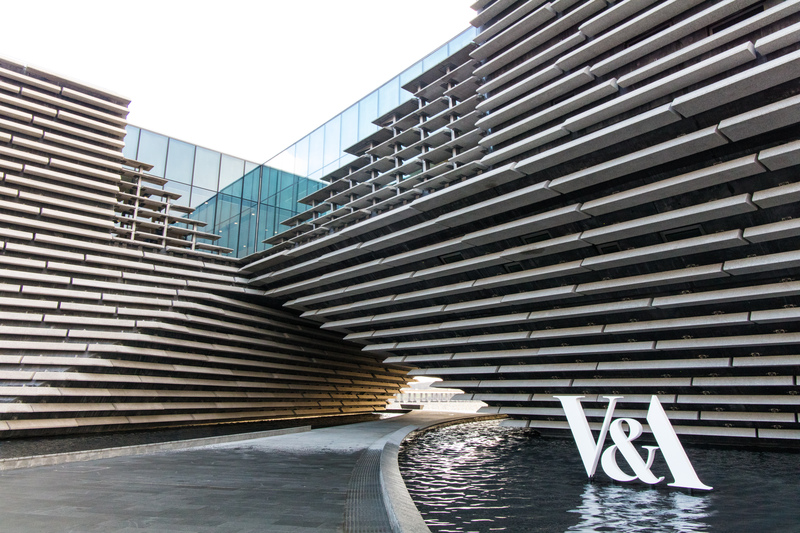 The new V&A is right on the waterfront in a stunning building. 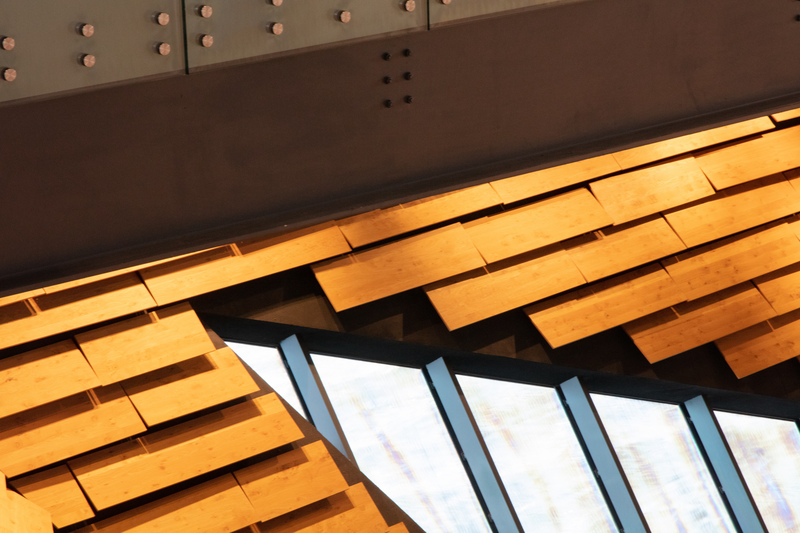 It was designed by Kengo Kuma & Associates from Japan who are also designing the stadium in Tokyo for the 2020 Olympics. 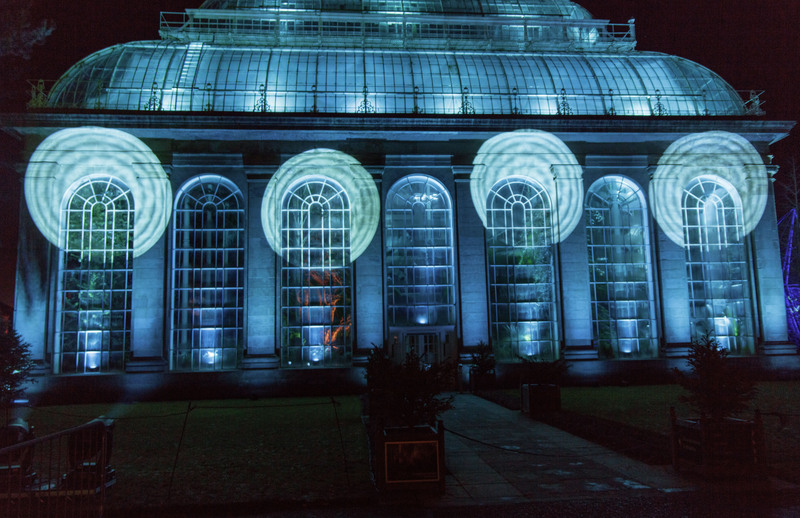 The collection is devoted to Scottish design in many different areas. The main collection is free to visit and there are additional exhibitions for which a ticket has to be purchased. The current one is on ocean liners. 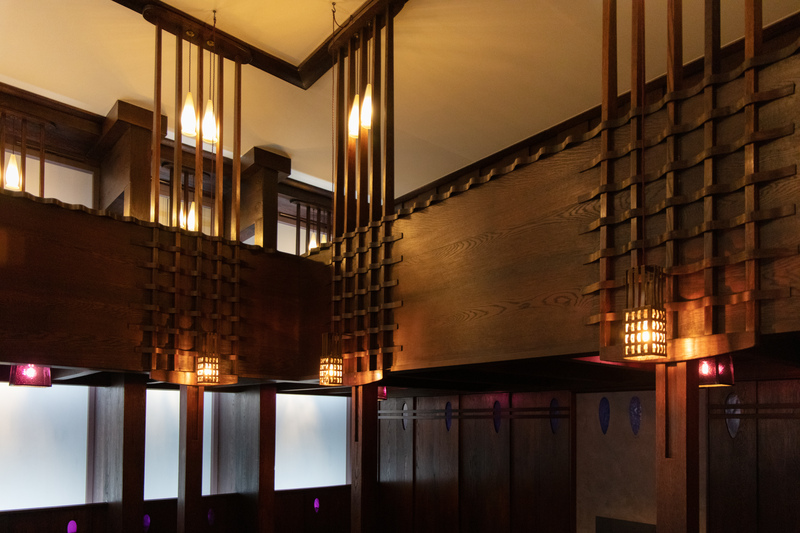 There was so much to see and one thing I enjoyed was The Oak Room designed by Charles Rennie Mackintosh for Miss Catherine Cranston who owned tea rooms in Glasgow. Next to the V&A is Discovery Point; a museum devoted to Antarctic research and the ship Discovery. 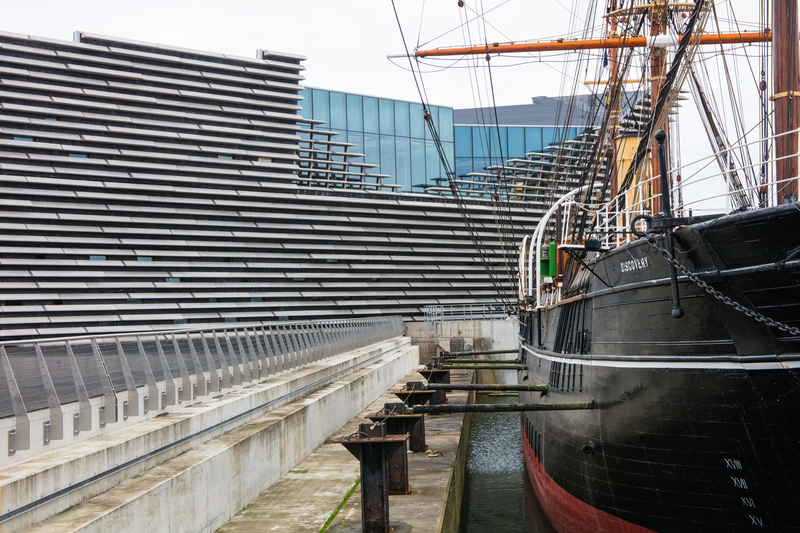 Dundee had for some time engaged in whaling and so had expertise in constructing ships that could withstand Arctic ice, making it an obvious place to build the first ship constructed for scientific research in the Antarctic. The Discovery had sails but also an auxiliary coal-fired steam engine. There are displays on the construction of the ship which used several different kinds of wood, those who sailed in her, the work they did and the restoration of the Discovery. 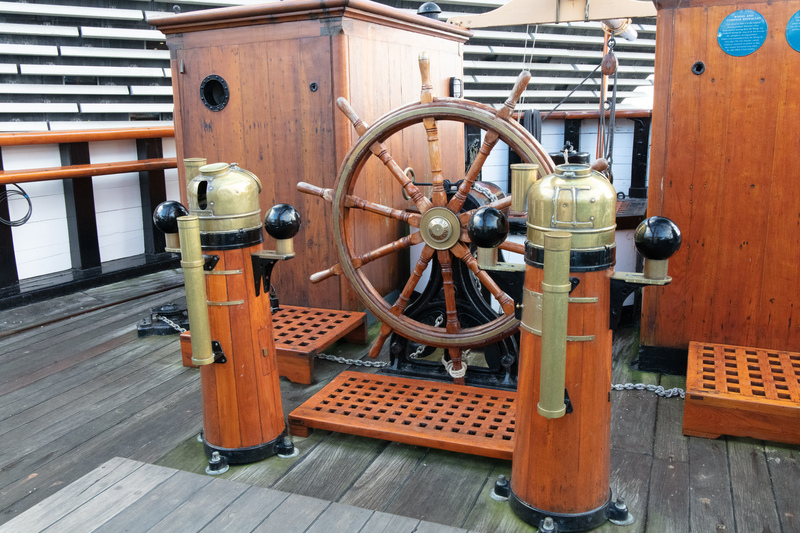 After looking at the displays in the museum (and trying some of the interactive things if you are brave enough) the ship can be explored, above and below deck. When we visited some workers were repairing the decking with what looked like traditional methods. 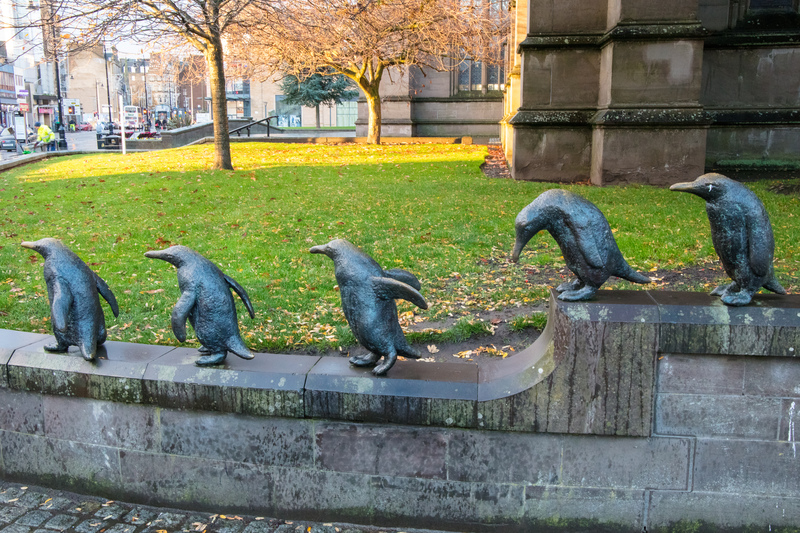 Back in town, penguins are popping up everywhere as part of the Christmas Decorations. Those outside Discovery Point and these in the city centre are present all year. Another Scottish export was comics. DC Thomson have been publishing newspapers and comics since 1905. 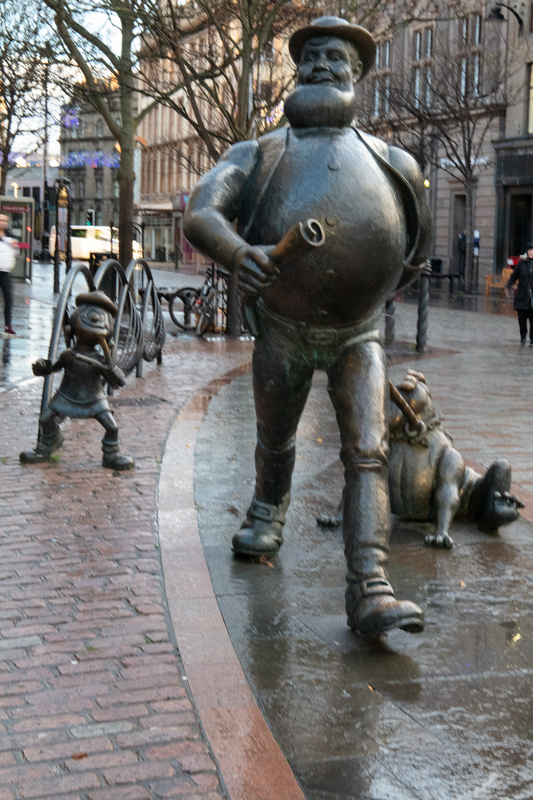 Desperate Dan and Minnie the Minx from the Beano are also in the city centre. 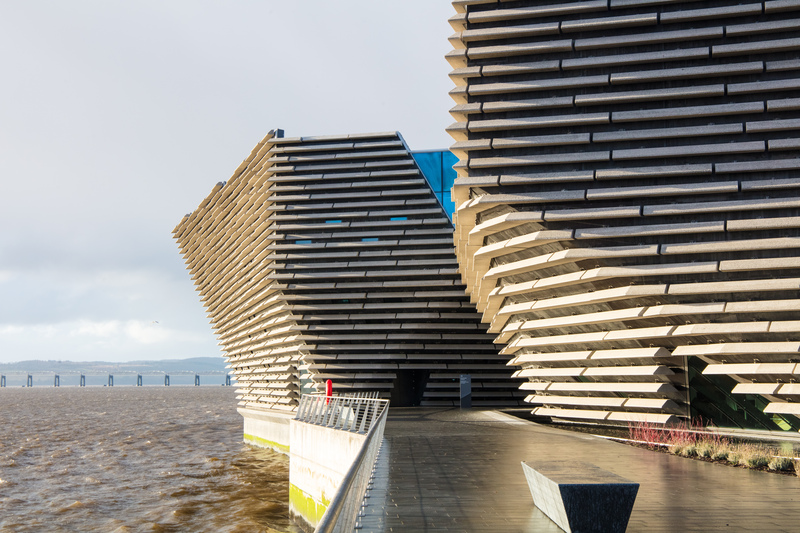 Dundee is the sunniest city in Scotland. This raised a smile as it was pouring with rain and very windy outside with reports of snow on high ground. Despite Scotrail glitches: announcing a delayed train when it had just departed and telling us as we approached Haymarket that the next stop was Leuchars, we made it back to Edinburgh on time. 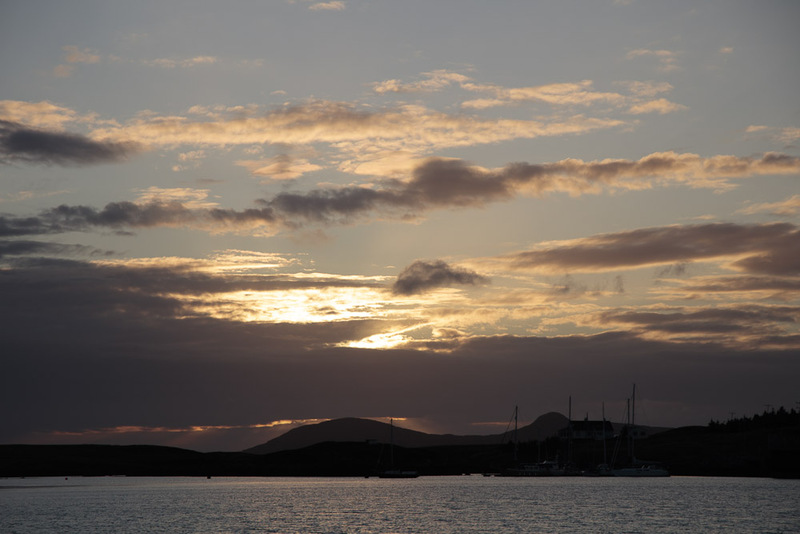 Our boat left the Sound of Harris at 5am. I had awoken when the engines started up but fell asleep again until breakfast time. The weather was improving and blue sky appearing among the clouds. 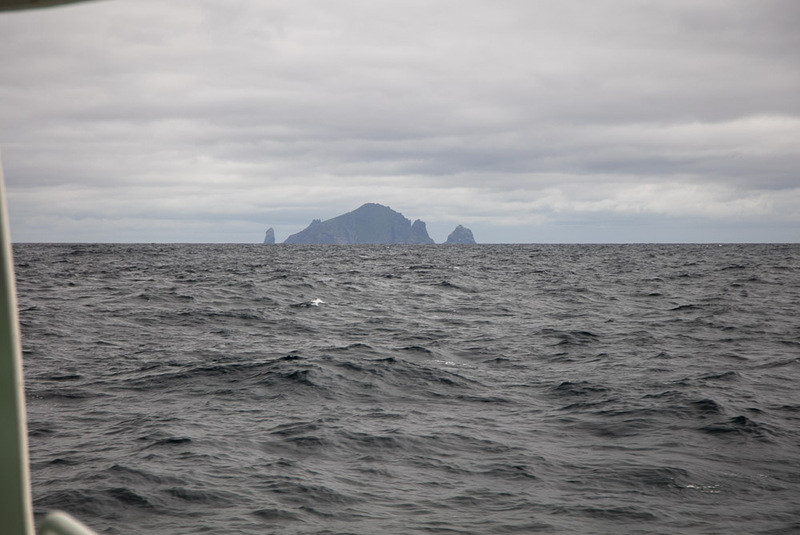 Just before the St Kilda archipelago came into view, we were overtaken by some small, fast daytrip boats. 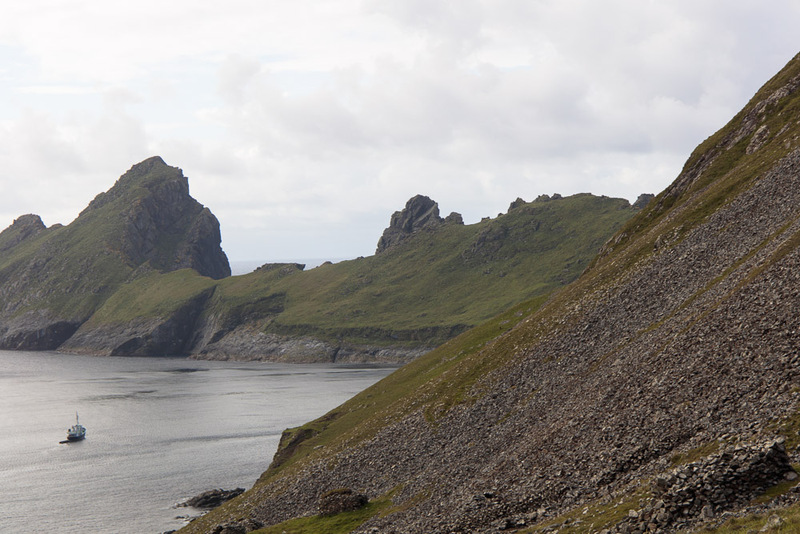 The first island to come into view was Boreray with Stac Lee and Stac an Armin. 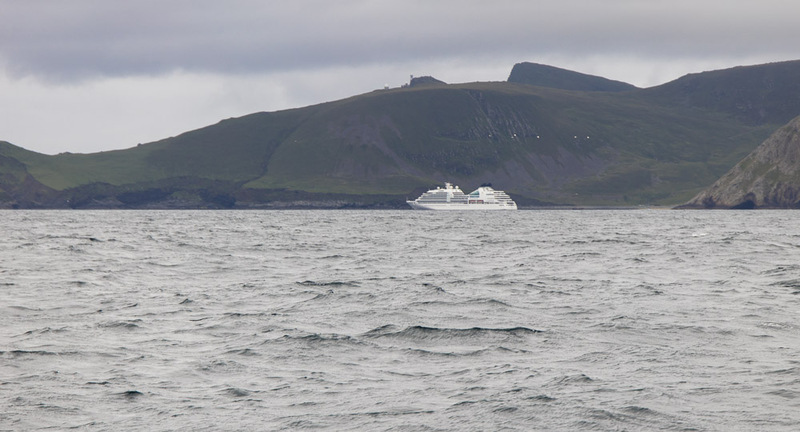 On arrival at Hirta, a cruise ship came into view. I had not expected this and had to remind myself that St Kilda has been a tourist venue since the mid 19th century. Unfortunately, these ships also brought smallpox and cholera and in 1913, influenza. Emigration also contributed to population loss. 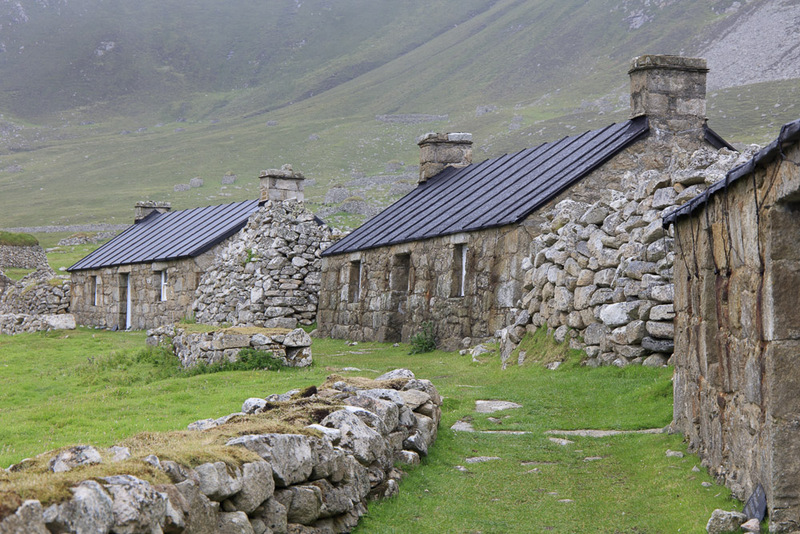 In 1851, 36 islanders emigrated to Australia and a suburb of Melbourne is called St Kilda. After the First World War many young men did not want to return. Zealous church ministers who expected high levels of church attendance left less time to run the island and harvest food. 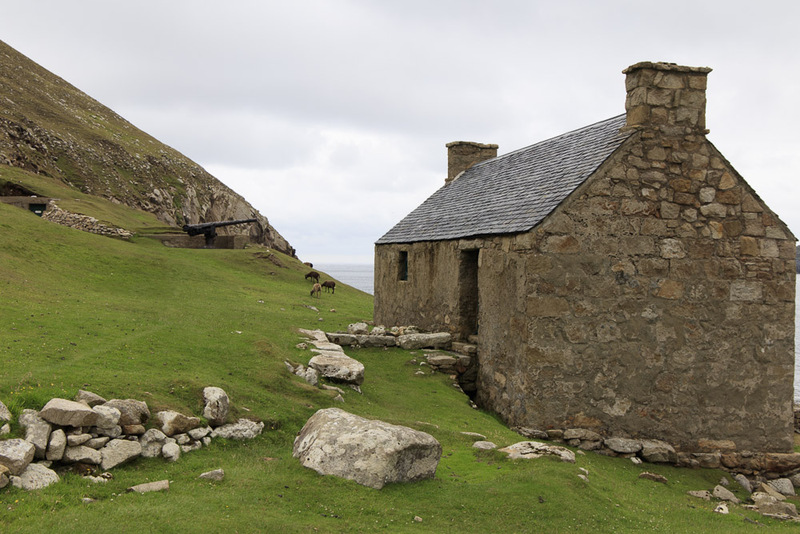 The demand for goods which the population had previous given to their factor in lieu of rent such as feathers for mattresses and tweed made from Soay sheep wool had declined. Midwifery skills were rejected and tetanus infantum lead to infant mortality rates up 80% because putting fulmar oil on the umbilicus was a local practice. This may have been stored in gannet or sheep stomachs and is thought to be the origin of the bacterium. 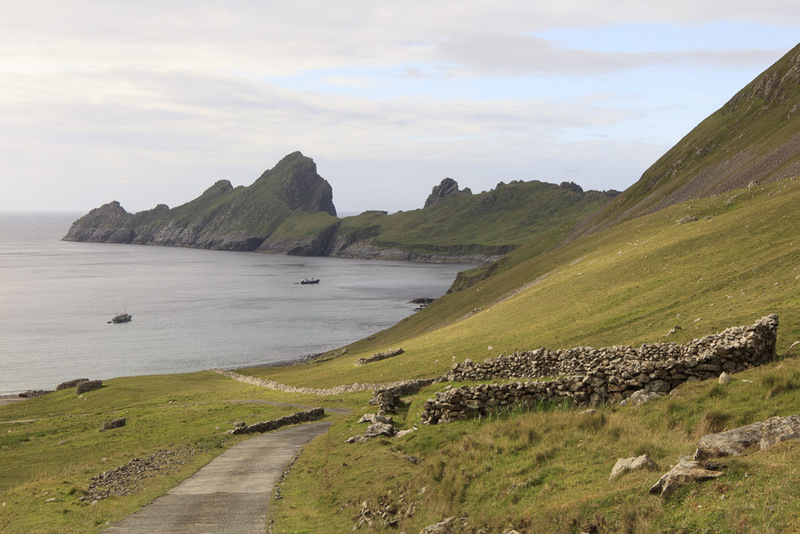 In 1877 a midwife was brought to the island and maternal and infant mortality levels reduced. 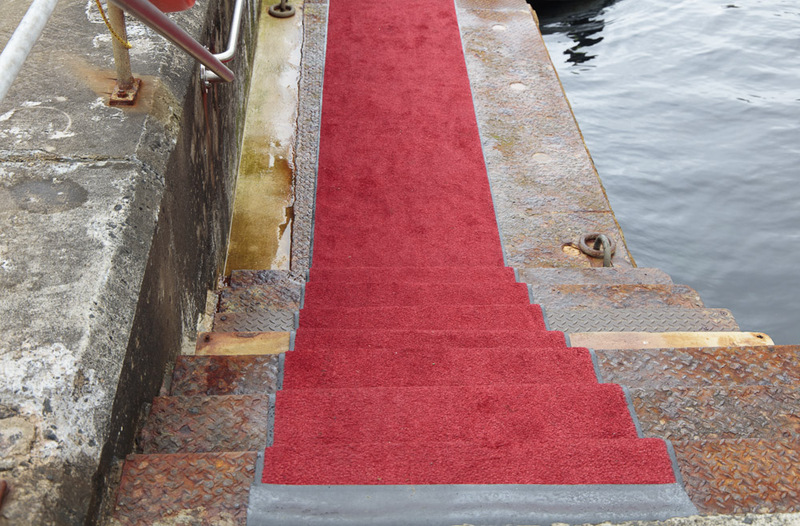 Packed lunches collected, we were taken in the dinghy to the village pier where a red carpet was laid out. This was not for us but for the cruise passengers. The street consists of the 1860s cottages with the old blackhouses in between and a small cemetery behind. 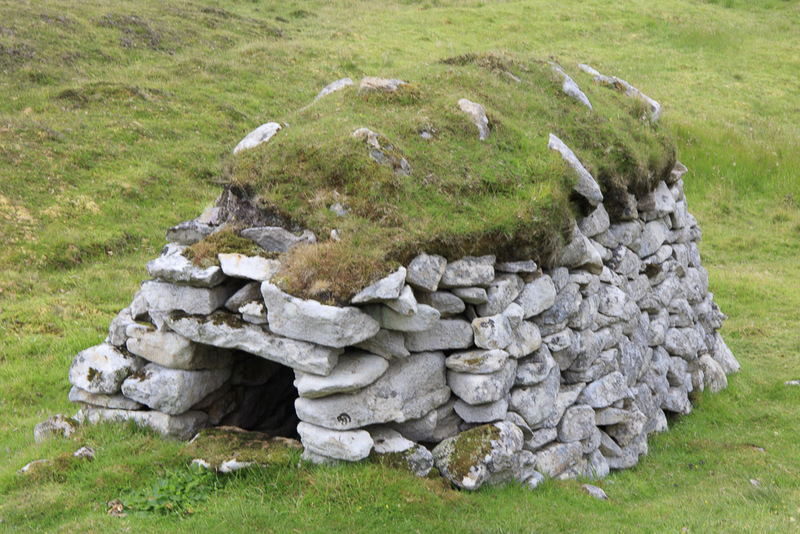 Cleits are everywhere and were used to store peat, food and clothing. Some on the hillside are now used by the sheep as shelter. The current shop is also the Post Office and mail is collected by helicopter twice a week. 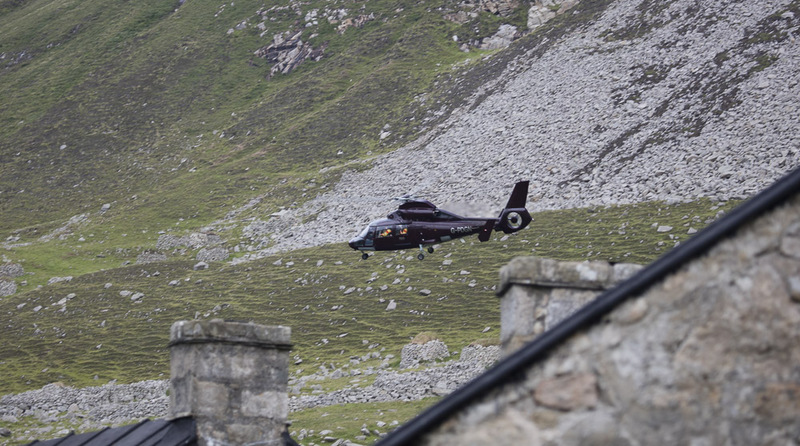 The helicopter also transports workers to and from the military base which is being renovated at present to turn the buildings into some more in keeping with the others on the island. 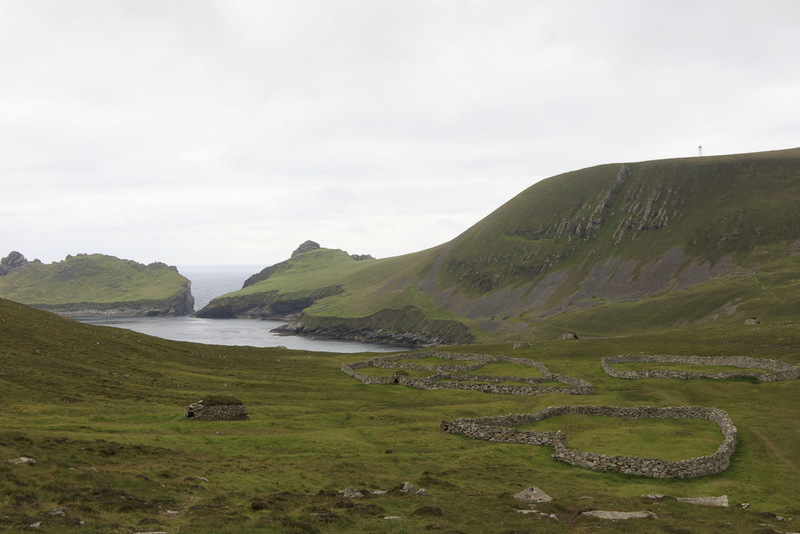 We walked up to the gap which overlooks the cliffs below, past the storehouse and gun emplacement but the tops of the hills were still in the cloud. 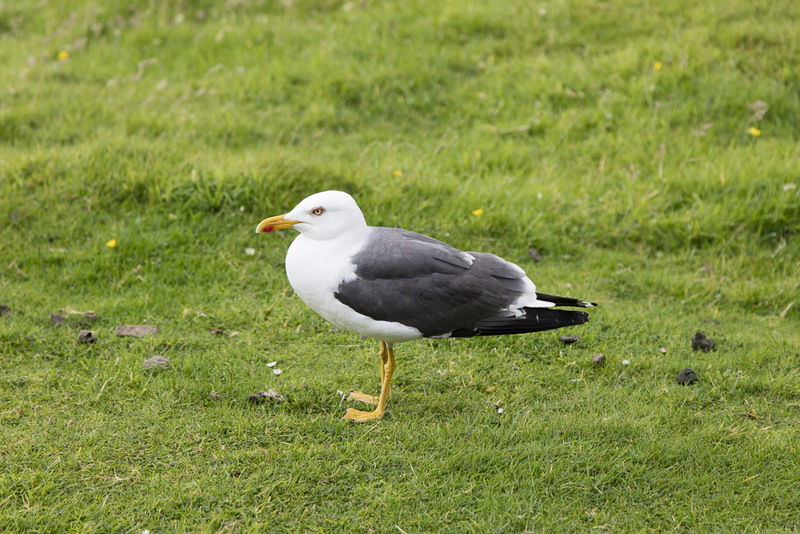 After descending we had our lunch on the seat outside the small museum where this Lesser Black-backed Gull was observing us hoping for some food. I also chatted to one of the cruise ship passengers who was from the San Francisco Bay Area. At least she was used to grey days and fog. 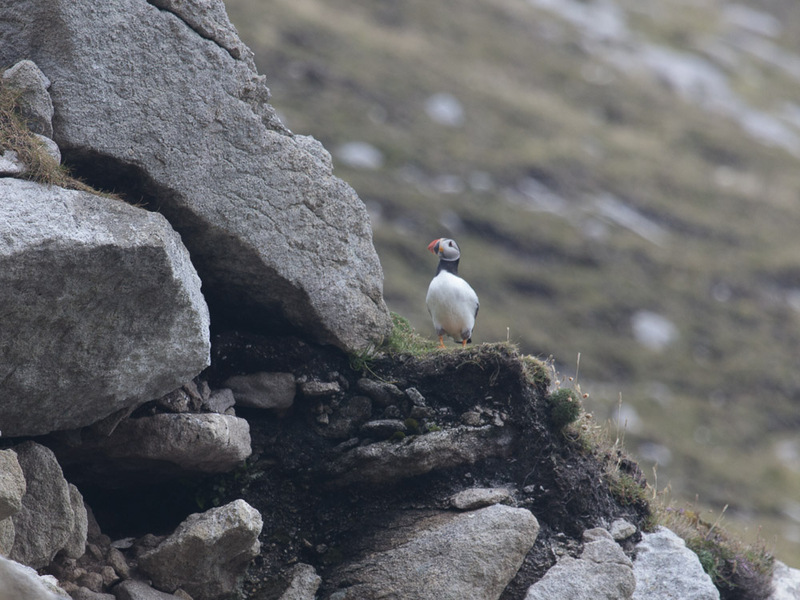 After lunch I returned to the cliff edge near the gun where fulmars were nesting, and some puffins were visible. 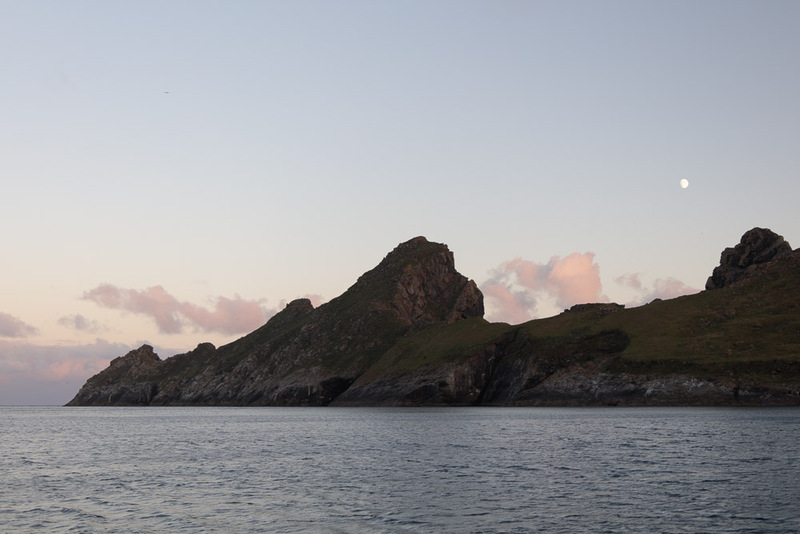 On our return to the boat we saw a basking shark in the bay and after our evening meal enjoyed the sun going down. On our second morning we walked up the road which was built in the 1950s when the military arrived. The base has a pub but it only opens from 7pm as a previous earlier opening time had led to behaviour problems and drunkenness. It was sunny and warm at first and we walked as far as the scree. 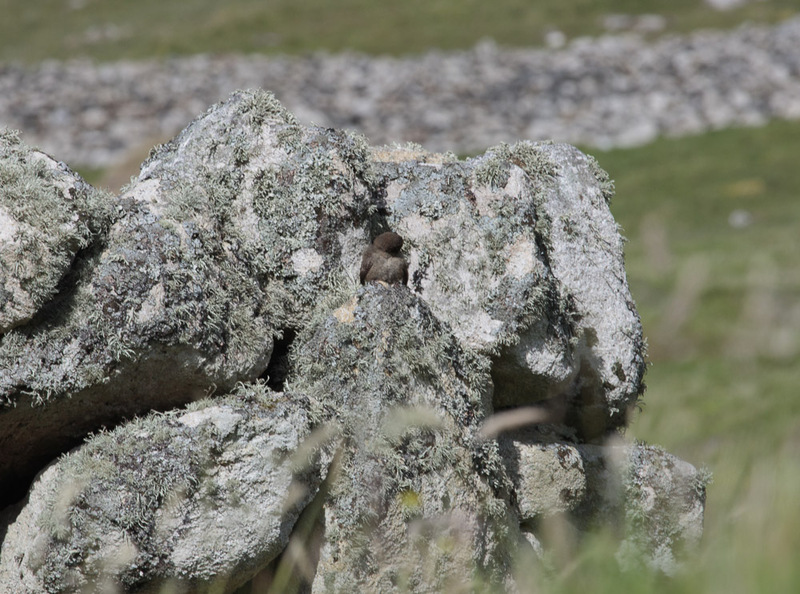 Back at the street, I briefly saw some St Kilda Wrens before it began to rain. 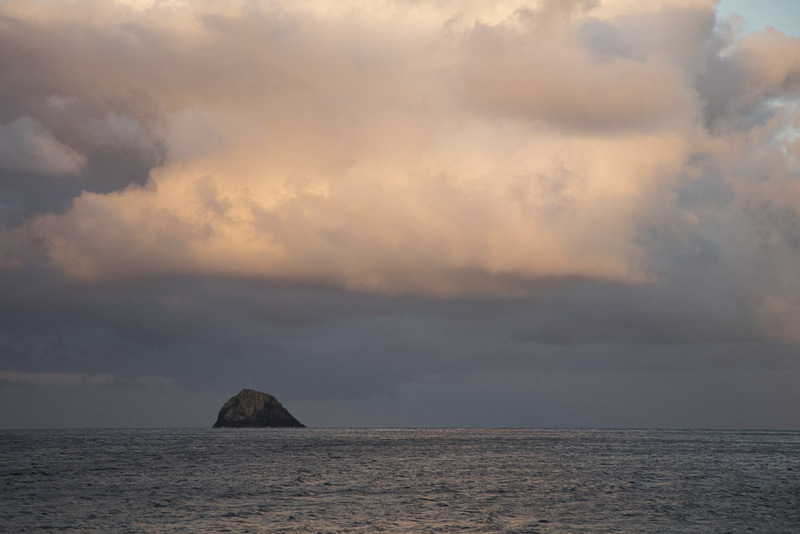 Our skipper told us that we had to leave the island at 3pm due to an approaching storm which was predicted to have up to 50mph winds. 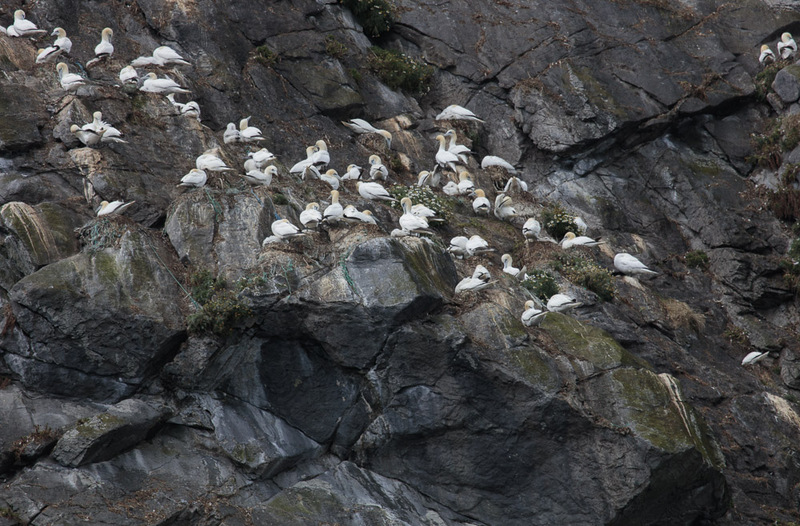 It was too windy to get to Soay so we passed around the stacs and Boreray where northern gannets nest. 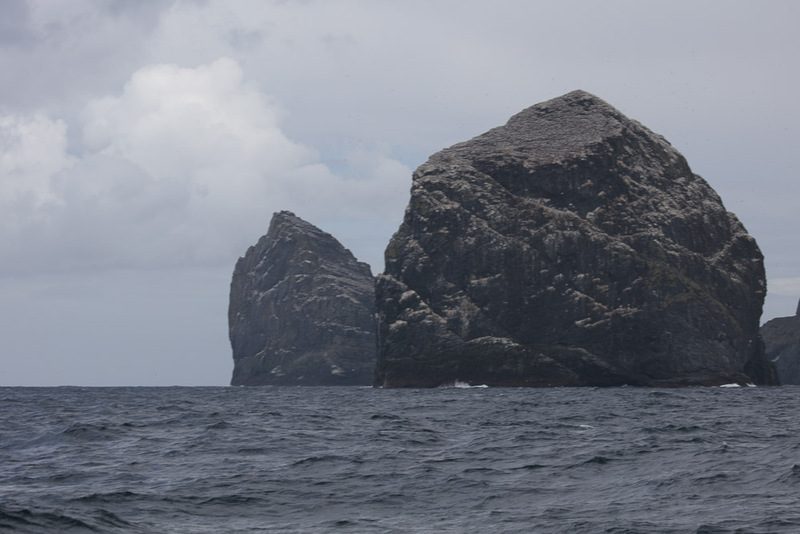 St Kilda vies with the Bass Rock as to which has the largest gannetry in the world. before heading to Lochmaddy on North Uist to shelter for the night. 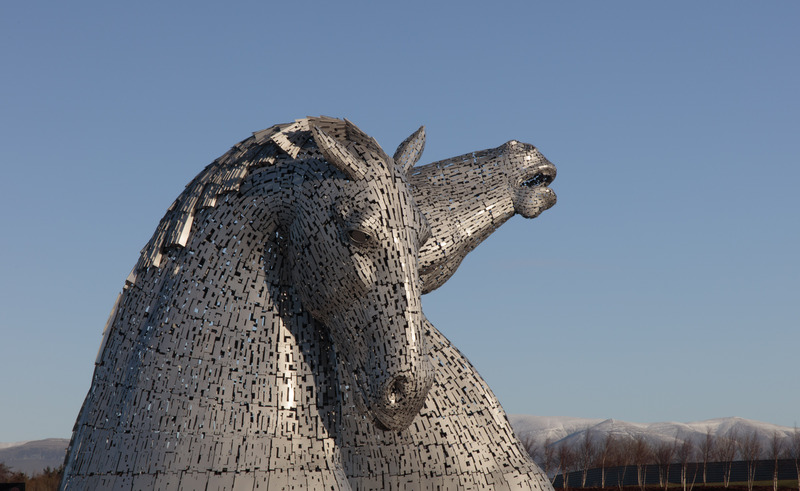 Kelpies were mythical water horses which could transform into humans. 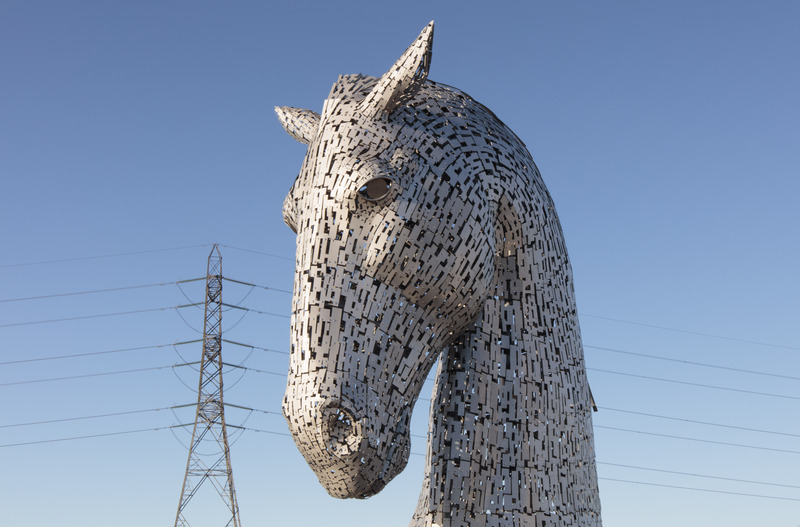 However, artist Andy Scott also based his work on the heavy horses which supplied the industry of the area including drawing the barges on the adjacent Forth & Clyde canal. Duke, the downward-looking Kelpie is 26.5m high and Baron, the upward-looking one is 30m high. I remember heavy horses still being used by a brewery in Stirling in the 1970s. We lived in Falkirk for a year in the 1960s and I have not really been back since. The Kelpies were completed in 2013 and I have driven past them on the M9 but this was the first time we paused to walk around them. On a cold winter morning with the snow-covered Ochil Hills in the background, they were not busy at all. We had spent the previous largely grey and wet day driving to Perthshire with only a few breaks in the weather. At Tebay, the ducks, resplendent in their breeding plumage, looked as if they were walking on water as just below the surface it was still frozen. On the north slopes of Shap the sun appeared briefly, and a rainbow stretched over the motorway. For once we were passing our usual turn-offs to Edinburgh and continuing north into Perthshire where I grew up. Just before Doune we stopped off at Deanston Distillery for the obligatory photograph and sampling. My clarinet teacher was from Doune. 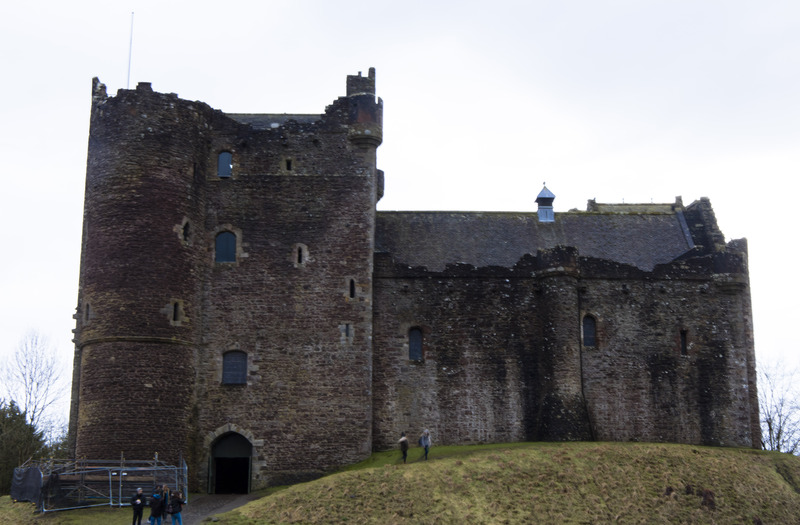 I played in the county wind band and in the early 1970s, some of us played at the wedding of Lord Doune’s daughter which took place in the medieval castle. 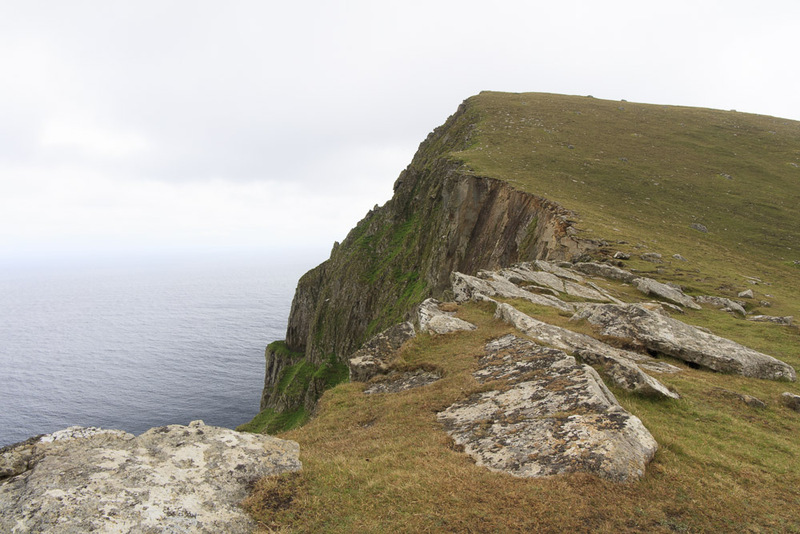 It has since become more well-known as it has been used in some films including Monty Python’s and Game of Thrones. We drove back towards Dunblane on the road my school bus used to take. One of the farms we passed has now become a red kite viewing centre which will be worth a visit at some point. We were heading to Dunblane to spend a night in Cromlix House just north of the town. The name Cromlix has existed in various forms since the 15th century although there is evidence of human settlement on the site before this. The Chisholms, several of whom were bishops of Dunblane before the reformation had a castle on the site as late as 1723. A marriage in the 16th century introduced the Drummond name which became Drummond Hay in 1739. A later marriage brought the estate into the Eden family who still own much of it, a reminder that only 500 people own most of the land in Scotland. The hotel is in what was initially built as ‘Cromlix Cottage’ in 1874. It was destroyed by fire and in 1880 was rebuilt. There is no sweeping staircase in keeping with the ‘cottage’ theme. The house was enlarged between 1880 and 1903. It was converted into a hotel in 1981 and we spent the first night of our honeymoon there in May 1987. It closed in 2012 but in the following year was purchased by Andy Murray and it opened again as five-star hotel in 2015. 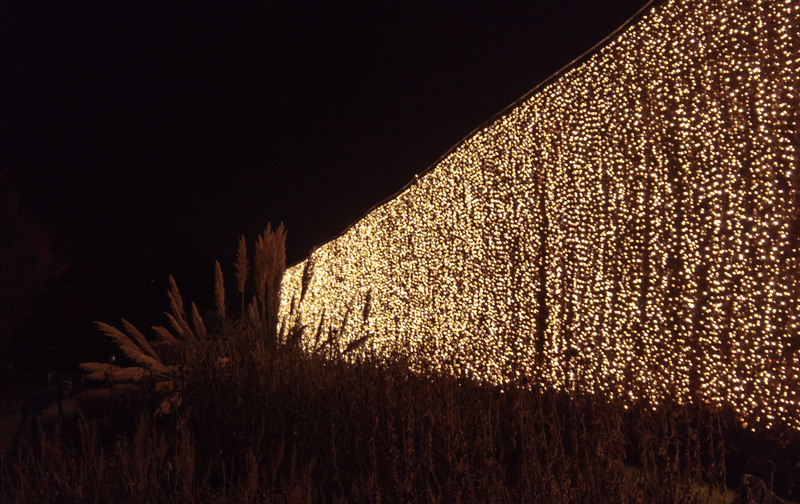 It has a Chez Roux restaurant and is situated in the hamlet of Kinbuck amongst the hills and woods that I love. Unfortunately the weather did not allow any wandering around them. 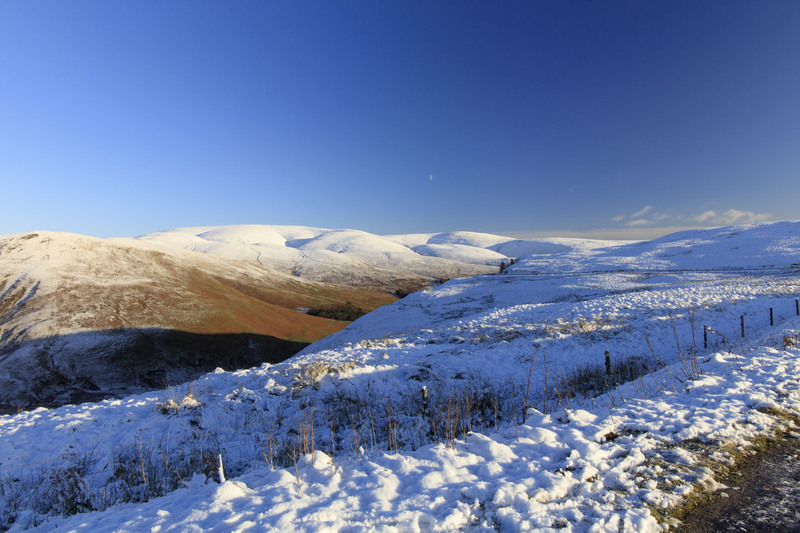 It remained cold with snow and sleet showers during the rest of our weekend. During our journey to Edinburgh just after Christmas, the radio was reporting snow, ice, blocked roads and closed airports elsewhere but northwest England and southern Scotland were bathed in winter sunshine. Not long after we joined the M6, a line of vintage tractors crossed a bridge over the motorway, presumably heading to some tractor fest event. Wildlife spotted on the journey included two buzzards perched on fence posts, mute swans on the River Eden and a roe deer just behind the crash barrier. There were several skeins of geese in the blue sky and snow on the Cumbrian peaks. Our only delay was an accident on the M74 before we were driving on the A701 through snowy landscapes. 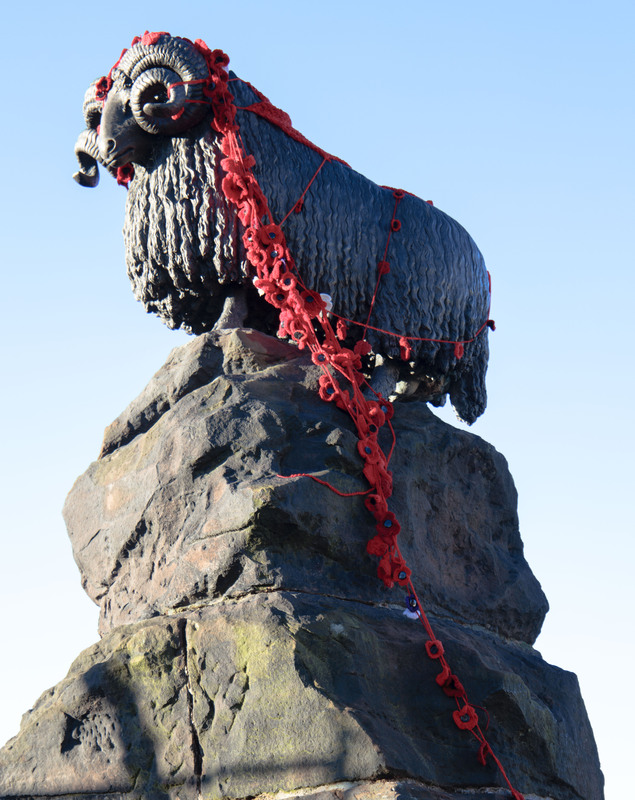 In Moffat the ram was still wearing his Remembrance Day poppies. There was 6-9 inches of snow all around and the hill sheep were digging holes to find grass. 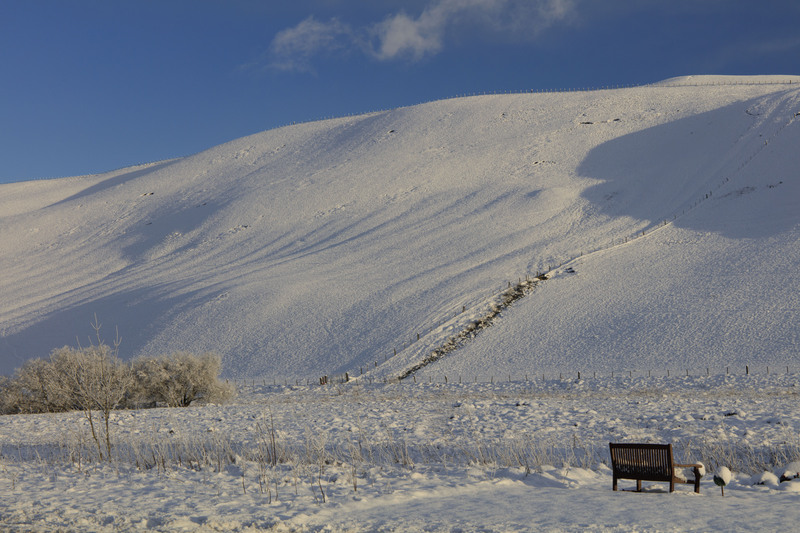 In Penicuik, children were sledging down the hill opposite the barracks. Unsurprisingly there was less snow in the city although there was a snow shower the following day while we were shopping and the children next door were building a snowman when we returned. 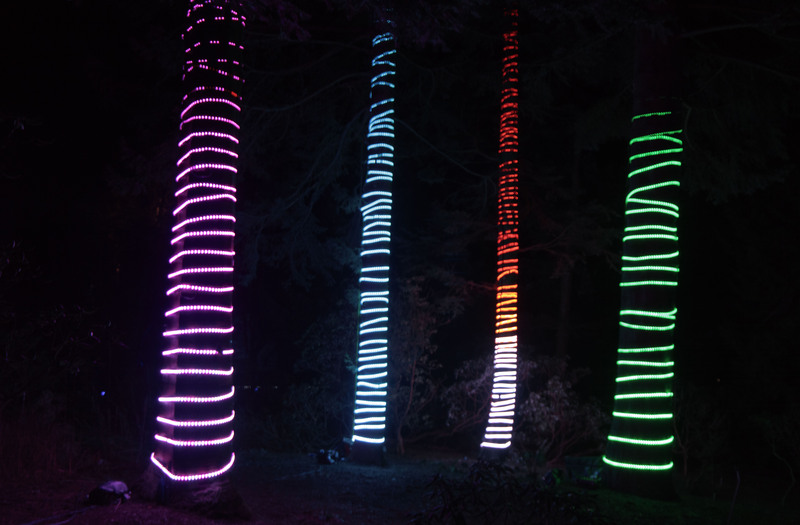 It stayed dry later and which was a blessing as I had booked us to see the Botanic Gardens’ Christmas light & music display which we had never been to before. It runs every year in December. The remainder of our time was spent catching up with relatives and friends and a lunch and football match for James on his birthday. I had pondered trying to get some photographs of the torchlight procession which takes place on the 30th but it started to rain heavily just as I got back to the flat so I gave up that idea. Storm Dylan arrived on the 31st and at one point Princes Street was closed to pedestrians as some staging had collapsed. I decided not to go up the hill to photograph the midnight fireworks as the wind was still very strong and I had visions of slipping down the hill in the mud with my camera & tripod. We did see some of the earlier evening fireworks on the way to and from the Candlelit Concert in St Giles Cathedral. It was performed by their choir and Camerata and organist and included Handel’s Dixit Dominus and Bach’s Mass in F, both of which I have sung before and Handel’s Organ Concerto Op 4 No 2 in Bflat. Despite being described as candlelit, there were only a few candles at the front. I must return and have a look round the cathedral at some point as it has seen a lot of history. 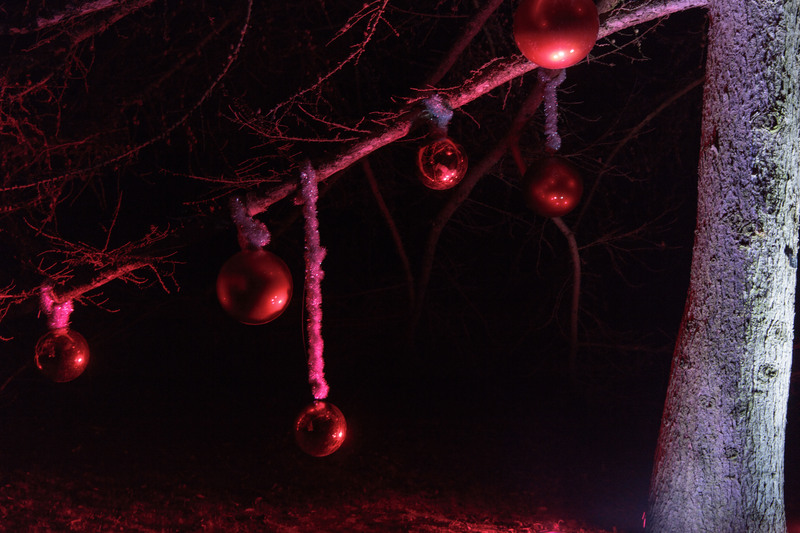 We decided to stay in on our return and saw the New Year in very quietly. Back home we discovered that the cellar pump had failed and it was flooded but managed to it going again before the storm due to hit us tonight deposits even more water on us. On our frequent journeys to and from Edinburgh, Moffat has become a regular place to pause. 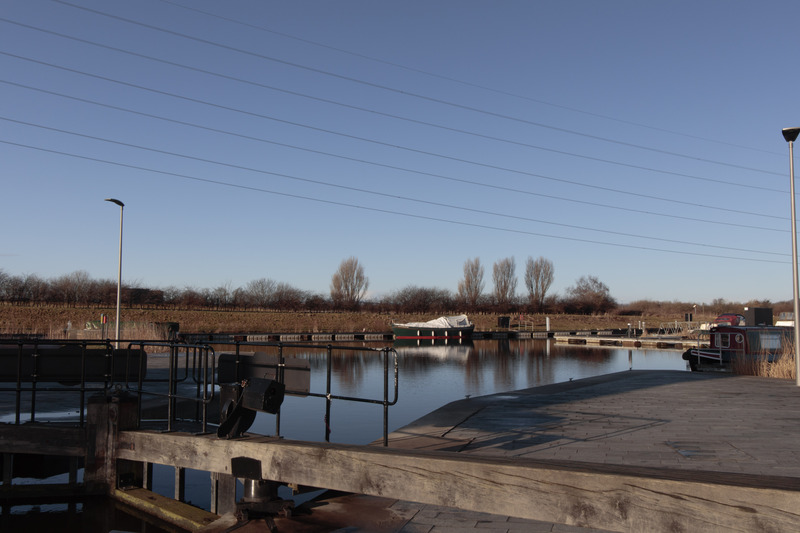 Not only is it on the scenic A701 but the town also has a lot to offer. It is, as far as I know, the only town in Scotland to have a statue of a sheep in the centre instead of some local worthy. I must confess that at university we used to tease a guy from Moffat about this. 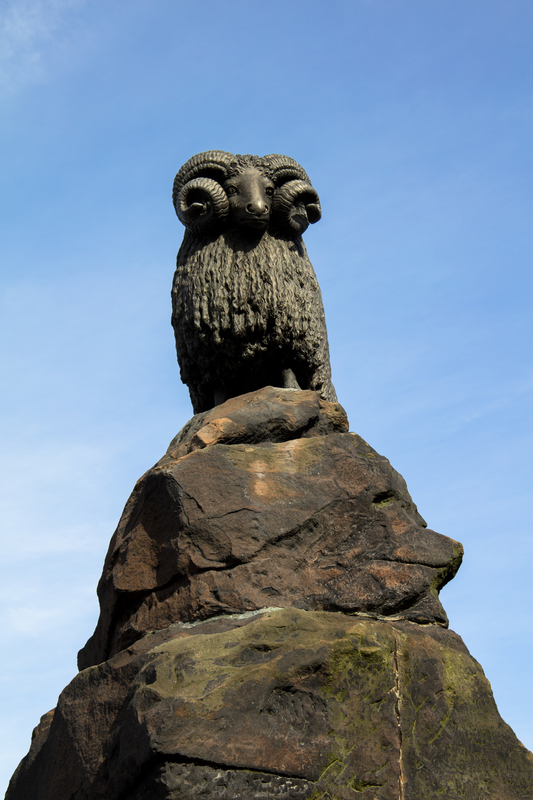 The ram is a reminder of how important the wool industry has been to the town. I understand it even holds sheep races every year in August and unsurprisingly, the local rugby team is called The Rams. However, Moffat’s growth from a small village into a popular resort began in the 17th century when Rachel Whiteford discovered its sulphurous waters. They were believed to have healing properties. My 1894 copy of Forrest’s Illustrated Guide states ‘Moffat has now been for more than two centuries a place resorted to by strangers on account of its mineral waters’; citing chronic gout, rheumatism and ‘serious intestinal derangement’ as disorders which would benefit from them. The town has three wells in the surrounding hillsides but the Moffat Well brought it fame and prosperity. The current Town Hall was built in 1827 as a bath house where people could drink and bathe in the pungent sulphurous waters. Visitor numbers grew in the 18th and early 19th centuries, with people staying to ‘take the waters’. Victorian luxurious hotels were built to accommodate the increasing numbers of tourists and several are still hotels today. Another consequence of Moffat’s fame as a Spa Town is the existence of the oldest pharmacy in Scotland. It still has many of its original shop fittings preserved. 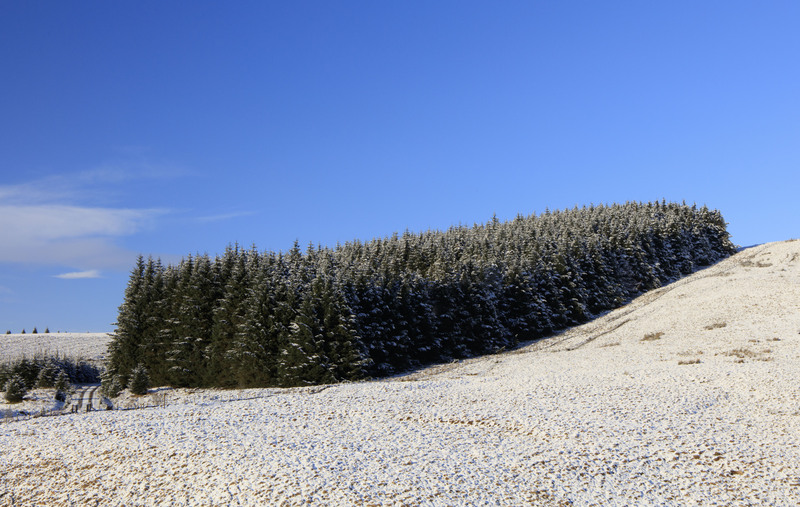 Moffat Well is a short drive or walk 1½ mile walk out of the town into the hills. It is something we hoped to do on our journey south today after a balmy few days in Edinburgh where I wondered why I had brought my coat but the low cloud, rain and the need to get home before Storm Ophelia reached western England meant we satisfied ourselves with a quick coffee in the town centre. There are also riverside walks and walks up into the surrounding hills. It is close to the Southern Upland Way and the Annandale Way. The Grey Mare’s Tail waterfall is 10 miles away in a hanging valley with walking trails nearby. Moffat also has a campsite and several other accommodation options. There are many cafes and it even has its own Moffat Toffee. Parking is free in the town centre and in the car park at the south end. There are many independent shops including a book shop which I usually pop into when I stop off. The town hosted the World Gold-Panning Championships in August 2017. As you leave Moffat heading northeast towards Edinburgh, you pass over a small bridge at Gardensholm Linn that was part of a murder story which gripped the whole nation in the 1930s. Dr Buck Ruxton, a physician from Lancaster had murdered and dismembered his wife and their housemaid and travelled to Moffat to dispose of them in newspaper parcels in an area still known as Ruxton’s dump. His downfall was due to pioneering forensic science at Edinburgh University examining the evidence and the use of his local Lancastrian newspaper which identified the perpetrator as someone not local. He also put the parcels in a smaller stream that was in full spate at the time. Had he put them in the Annan River, they may have been washed out to sea without being discovered. Ruxton was convicted and later hung in HMP Manchester in 1936. Despite all this history and Moffat’s situation as a staging post on the road from Dumfries to Edinburgh, it barely gets a mention in Alistair Moffat’s book The Borders. However, we are discussing walking the Annandale Way at some point which has a loop north of the town around the Devil’s Beef Tub and then heads south to Annan and the coast. Today we had to content ourselves with driving back down the motorway with a curiously red sun peeking out from the clouds.